v4.14.4 IMDb features are back! Great news! We now have a new and more comprehensive content licensing agreement with IMDb, which means the IMDb features are back in your CLZ Movies app! IMDb, IMDb.COM, and the IMDb logo are trademarks of IMDb.com, Inc. or its affiliates. v19.0.8: IMDb features are back! HOWEVER: Because the new license is also very expensive, we have decided to only deliver IMDb Ratings and Links to users who are on a valid, non-expired Update Plan. On some devices, Youtube trailers would not open full-screen, now they do! Fixed: Field Defaults were not properly set for the Country field. Great news! 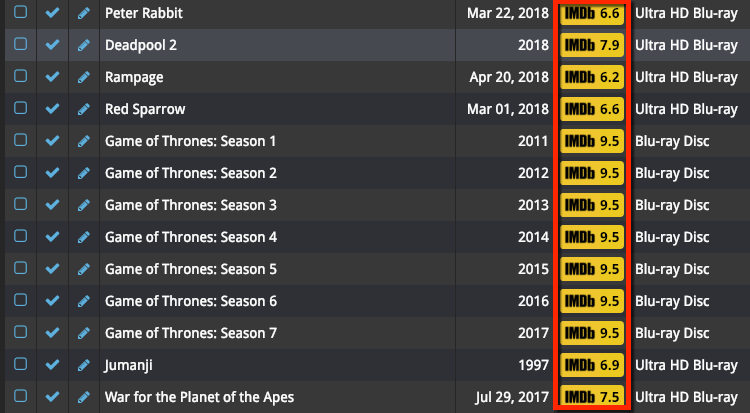 We now have a new and more comprehensive content licensing agreement with IMDb, which means the IMDb features are back in your Movie Connect software! 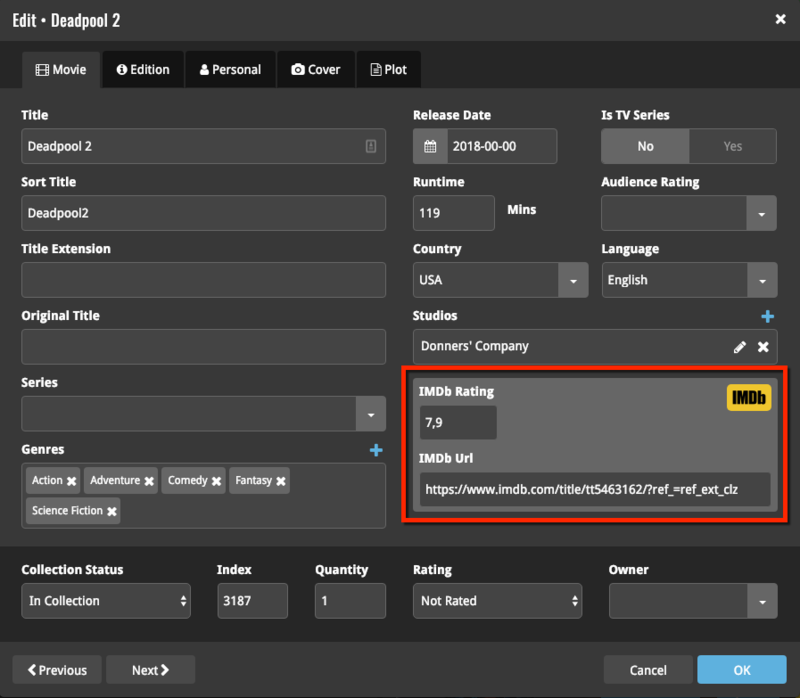 When adding new movies, it automatically adds IMDb Ratings and Links again. A new “IMDb” option is now available to add as a column to your List View, which shows a nice IMDb logo with rating, linking to the movie page on IMDb.